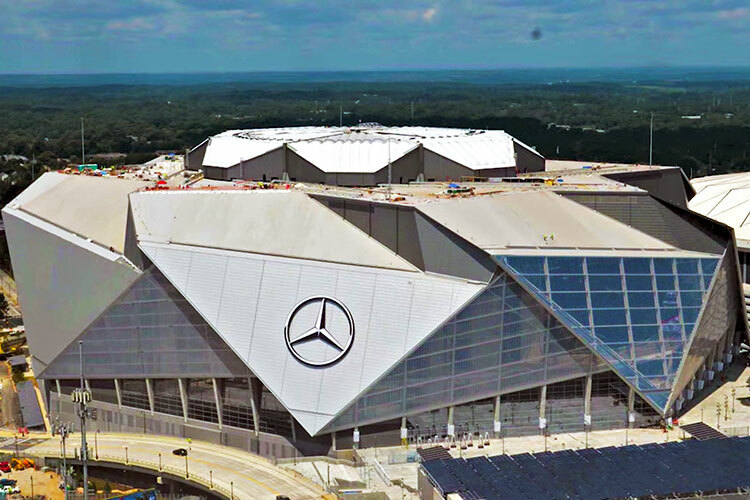 Dowco was contracted to handle the steel detailing on the new Atlanta Falcon's stadium. 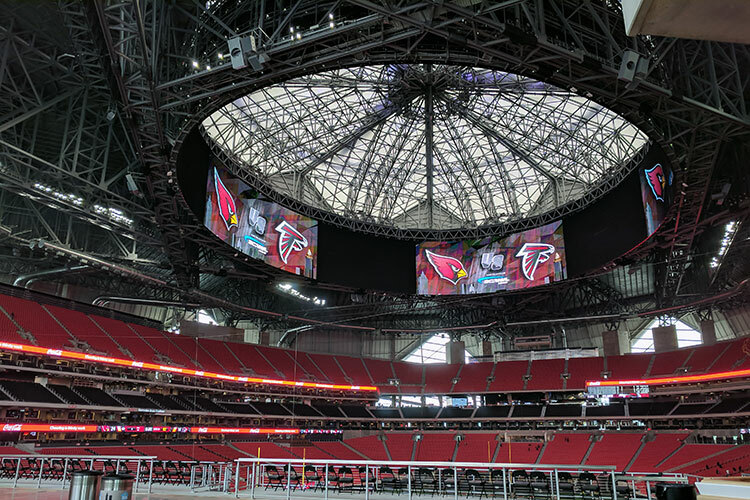 Opened in 2017, the Mercedes-Benz Stadium is most noted for its panoramic halo scoreboard and its unique, camera shutter-style retractable roof. We were brought on board to assist in detailing the roof. The total tonnage for Dowco on the roof was 2,850 tonnes. There were numerous challenges faced in the detailing of the unique structure including providing extensive survey coordinates and incorporating the cambers of the structure. Also, due to the tight timeframe, we had 10-15 detailers working on the same model simultaneously, which introduced additional challenges. 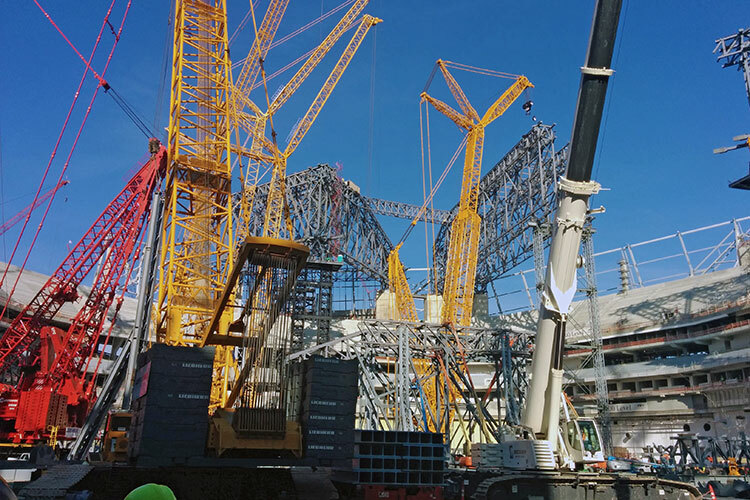 Because of this, Dowco had to maintain constant open channels of communication with the engineers on the project and ensure information was passing freely between all parties involved in the project.